Previously for ETUDE HOUSE collection we have something more feminine, which is a collaboration with illustrator Kerrie Hess for the Drawing Swan collection. 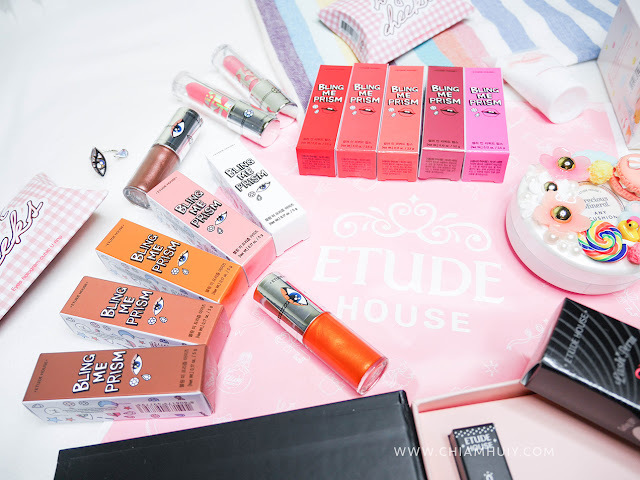 This time round, ETUDE HOUSE has a funkier and cuter collection called the Bling Me Prism Collection, a collaborative collection between ETUDE HOUSE and Korean accessories brand, High Cheeks. brand, High Cheeks. It includes three new additions: Bling Me Prism Eyes (eyeshadows), Bling Me Prism Colour In Liquid Lips and Bling Me Prism Play Nails. This time, they also released their new ETUDE HOUSE Lashperm Curlfix Mascara, so let's check them out! 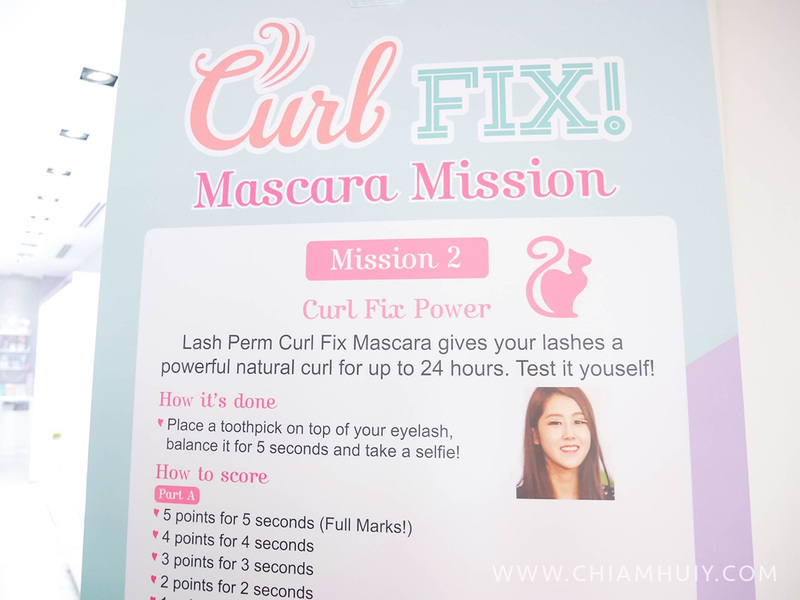 At the event, we tested out the ETUDE HOUSE Lashperm Curlfix Mascara in this Curl Fix Power game. I have my lashes extension on so I couldn't play the game, but here's my girl Sydney doing the challenge! Apparently this Lashperm Curlfix Mascara is doing a good job so much so that her lashes can hold the toothpicks! 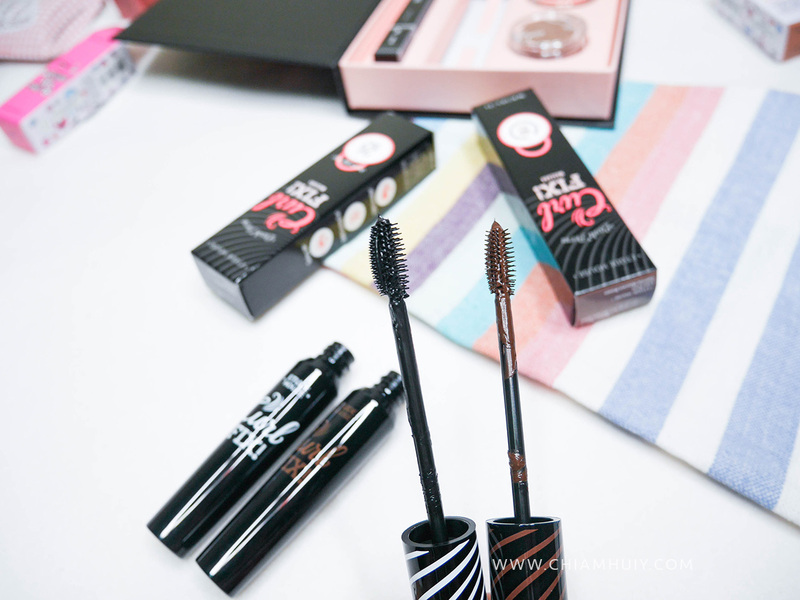 Reason being, the Lashperm Curlfix Mascara has a lightweight formula which doesn't weigh down your lashes. 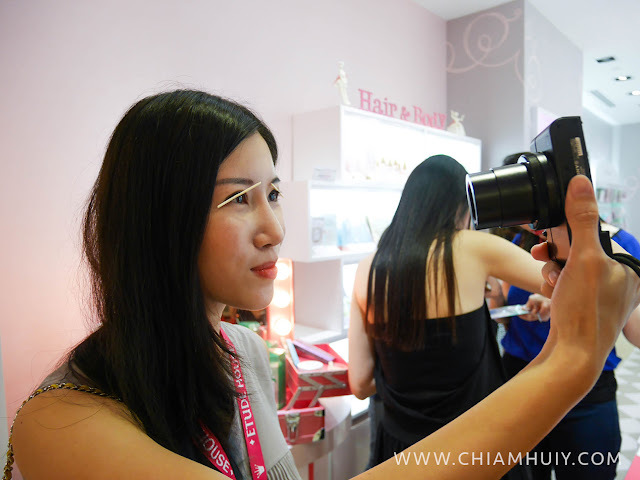 Also in other words, it can curl your lashes with its ETUDE Curl 24HR Technology which allows your curl to lash 24 hours. That's not just all. The Lashperm Curlfix Mascara ($24.90) has ultra fine 0.2mm bristles to coat every single lashes of yours, and the special irritant-free material of the brush would prevent irritating your sensitive eye area, so much so that it's gentle on your waterline of the eyes. There's also brown and purple colour for you to coat on top of the base black color, since coloured lashes are trending in Korea now! Bling Me Prism Eyes ($11.90) is a water-base eyeshadow that gives a cooling and moisturing effect on your eyelids. If you have the opportunity to swatch them like how I do, you'll be so surprised that the colour comes off so beautiful and shimmery! 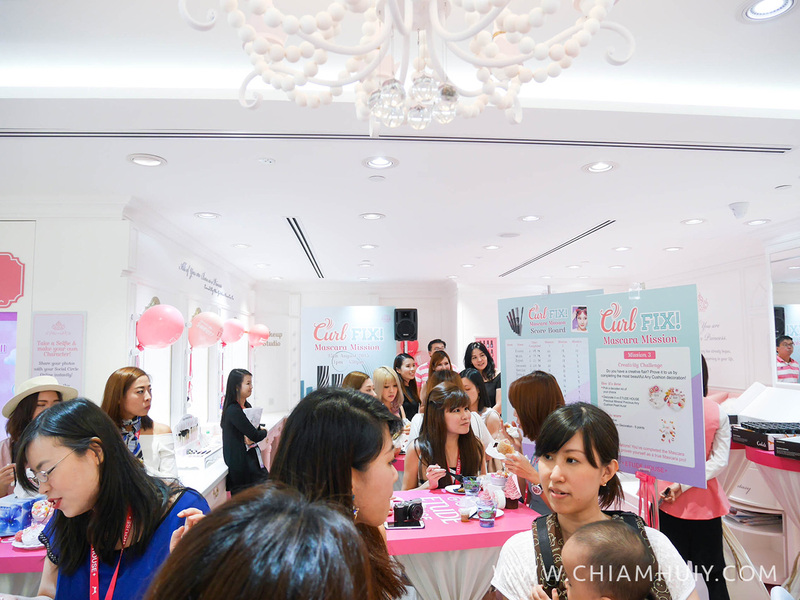 My favourite is the Pearlfect shade which you can use to highlight the corners of your eyes. It looks whitish, but when applied it gives a hint of pinkish tone underneath too, which is really beautiful. I find these water-base eyeshadow more lasting compared to powdered form eyeshadow since they're in liquid form. 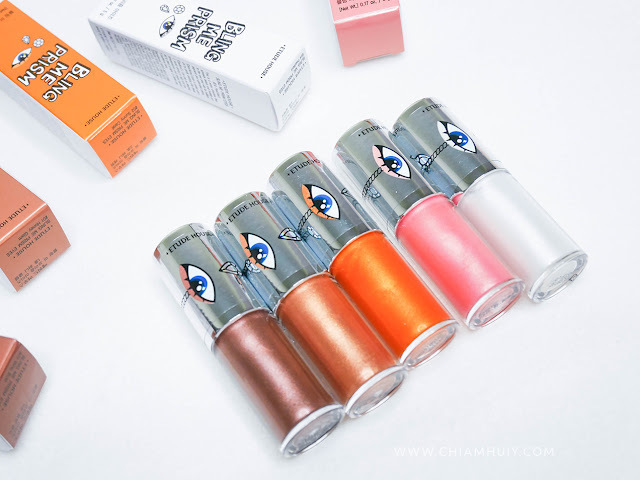 Just like how cream blush lasts longer, be sure that these Bling Me Prism Eyes will last longer throughout the day too! The 5 shades are Honey Glam, Sunny Carat, Darling Heart, Pearlfect and Bling Bold. 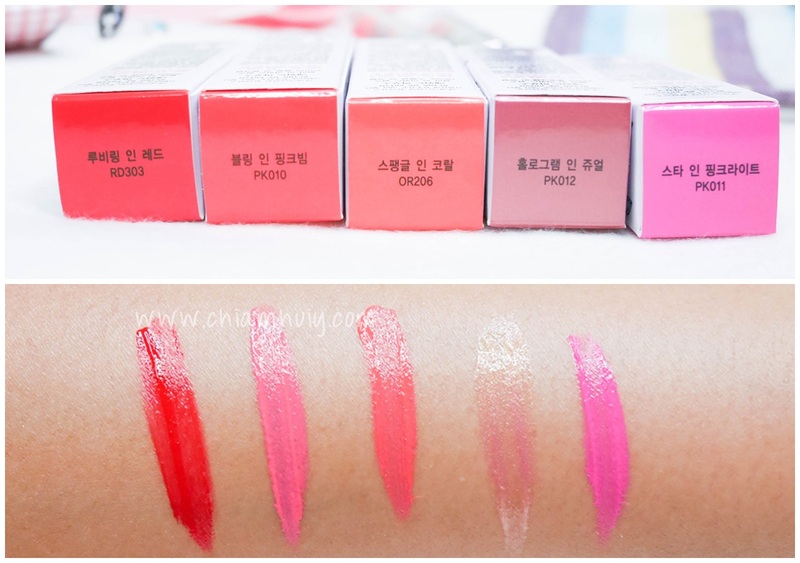 Moving from the eyes to the lips, ETUDE HOUSE has the Bling Me Prism Colour In Liquid Lips ($17.90). I've previously reviewed the Colour in Liquid Lips before, and I like how they can be both lipsticks and lip gloss. Under the Bling Me Prism Collection, 5 new shades are created: PinkBeam, Hologram in Jewel, Rubyring in Red, Spangle in Coral and Star in Pinklight. My favourite? Definitly the Rubyring in Red. Unlike all other colours which are solid colours, this is the only one that has some shimmers inside and it's simply fantasical. It's a shimmery pinkish brown to be exact. Finally moving to the fingers with Bling Me Prism Play Nails. 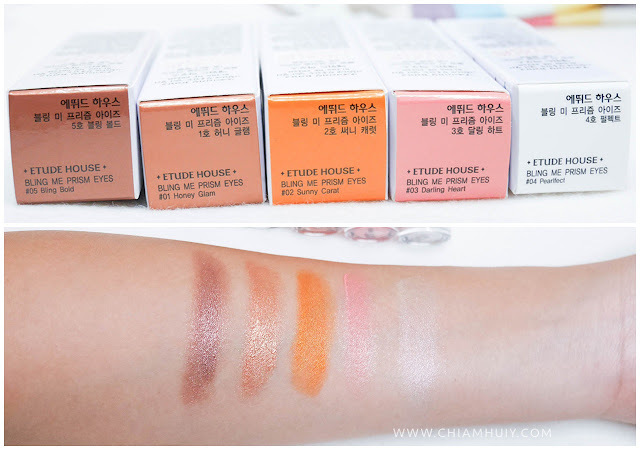 ETUDE HOUSE are known for having affordable cosmetic items with decent quality, and these lovelies only cost $5.90 each! They also have a very large variety of colours for their nail laquers but this time round they come with cuter packaging in collaboration with High Cheeks' design. 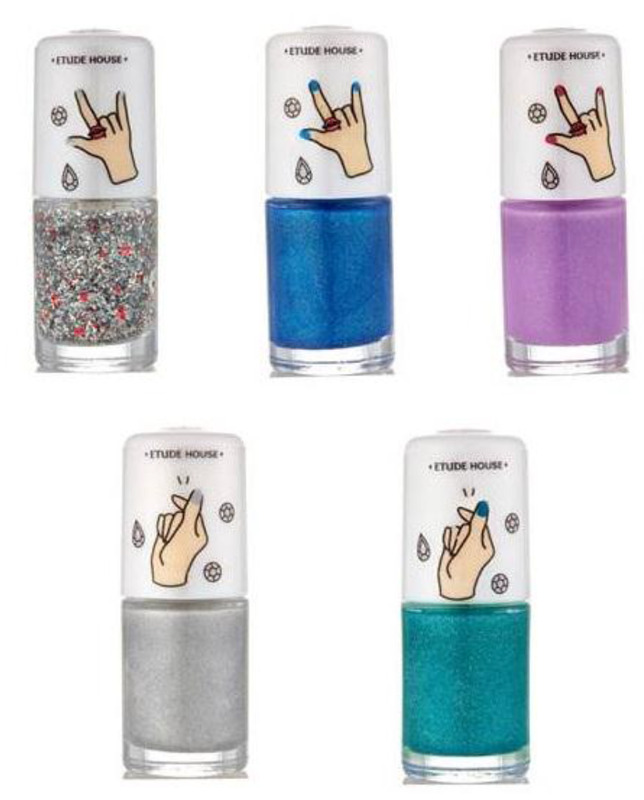 The five new shades are: Prism Break, Mystery Muse, Emerald Replica, Ultra Mercury and Prism Kiss Glitter.